As a congregation, we have now been donating items to Ryedale Foodbank for two years. We are very grateful to Bridget and Paul Tranmer who regularly deliver our contributions to the wareouse in Malton. 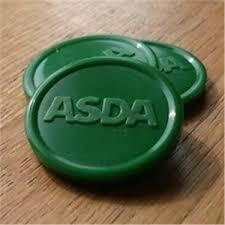 "Ryedale Foodbank is continuing to provide a vital service to the community, feedback from both our clients and the support agencies who make the referrals has indicated that without our services many of our clients would have found themselves in very difficult situations. At the end of October we had fed 1,795 people, 583 of these being children". "Given our size and the fact that we are predominantly volunteer led, and that we do not have any regular ongoing funding, this means that donations such as yours are hugely important to us and thankfully recieved". As we begin to prepare to celebrate this New Year, let us not forget those who may be struggling to feed themselves and their families. We have a list of items at the back of Helmsley Church which the Foodbank is in short supply of.